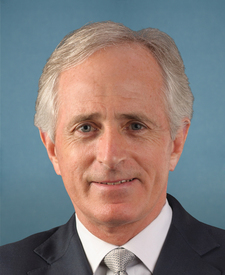 Compare the voting records of Bob Corker and Dean Heller in 2017-18. 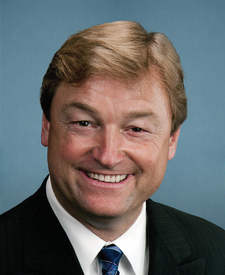 Bob Corker and Dean Heller are from the same party and agreed on 89 percent of votes in the 115th Congress (2017-18). But they didn't always agree. Out of 547 votes in the 115th Congress, they disagreed on 58 votes, including 7 major votes. Jan. 12, 2017 — To create a point of order against legislation that would undermine the historic coverage gains the United States has made in children's health, which have resulted in the lowest uninsured rate for children in the Nation's history. Jan. 12, 2017 — To create a point of order against legislation that makes women sick again. Jan. 11, 2017 — To create a point of order against legislation that would eliminate or reduce Federal funding to States under the Medicaid expansion. Jan. 11, 2017 — To create a point of order against legislation that would make people with disabilities and chronic conditions sick again. Jan. 11, 2017 — To create a point of order against legislation that would limit veterans' ability to choose VA health care. Jan. 9, 2017 — To protect the Medicare and Medicaid programs.